In the capital, knife crime and youth violence have become depressingly regular features of the news bulletins. Week on week we hear about another young life taken, a family heartbroken, and a community shattered. Since 2014 knife crime has increased by 22% across England and Wales and by 36.7% across London. 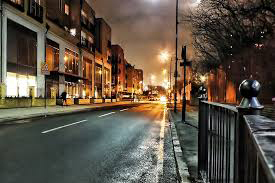 The Mayor’s Office for Policing and Crime (MOPAC) statistics tell us that around a quarter of London residents feel that knife crime and gangs are problems in their area. So earlier this year, Ofsted carried out research into how London schools are dealing with knife crime. We looked at how schools are protecting pupils from the threat of knives while they are in school, and how they are educating pupils about the dangers of carrying a weapon outside of school. We also considered whether exclusions play a role in knife crime and youth violence. Children who are excluded from school are twice as likely to carry a knife. Importantly, we know that schools are safe places, and it’s a very rare day that children are caught up in serious violence on school grounds. However, violent crime and the links to gangs are issues that many young people in London encounter on a daily basis. Which is why we need to look beyond the school gates. As well as providing a safe environment, and teaching children about gangs and crime, there are things that school leaders must do better. Our research shows that schools have very different ways of dealing with these issues and there is no one size fits all solution. But in London there is a unique set of circumstances in which schools are clustered closely together and gang territories overlap, which can lead to problems. I was concerned to hear from some parents that gangs are taking advantage of these circumstances by targeting pupils in schools that take a zero-tolerance approach to knives. Gangs know that once children have been excluded, they are much more vulnerable and easier to groom. Gangs are taking advantage of this by, for example, getting children to take a knife into school or to break another rule which gets them excluded. This raises a major red flag. Zero-tolerance policies can be extremely effective, but schools need to take proactive steps to protect children from gang members who seek to exploit the rules to build their empires. At the same time, to stop gangs being able to ‘divide and rule’ schools need to discuss their approach with their neighbours and the police. Alongside this some schools are using zero-tolerance approaches in an overly rigid way. We have seen examples of teenage girls being excluded for carrying a knife for the purposes of self-harm. While schools need to deal with this behaviour, it is difficult to see how this approach safeguards these girls or supports them through their mental health issues. Finally, we know there are head teachers who refuse to acknowledge that knife crime affects their school. They worry that by taking action, and talking about knife crime, they would be admitting their school had an issue. This is immensely depressing, and shows that these schools have lost sight of their job in building children’s resilience and teaching them how to stay safe. Interesting read. Completely agree but also creating a safe environment for all our students (and staff) is surely top priority? How can students with knives in school be tolerated? I challenge anyone who says otherwise to say that they would be happy having their own children in a school that did not take sever action on this. Permanent exclusions could be followed by specialist help and support then an opportunity for a fresh start at new school in the area When the student is concidered safe. Schools are not set up to manage this and support services are being cut to the bone nationally. You say 'there are things that school leaders must do better' but reading your article I am not clear what these things are. You are not clear whether or not a 'zero-tolerance' approach is effective in keeping pupils in the school community safe, though you make the point that serious violence is schools is thankfully extremely rare. You present anecdotal comments about the behaviour of gangs. Where there is evidence of this who has brought this to the attention of the school leaders directly affected? The exclusion regulations offer explicit protection for children and young people in such circumstances. You give examples of girls excluded for carrying a knife for the purposes of self harm. In these incidents surely this was redressed through appeal and due process? Governors have a role in this process. Sharing examples without clear advice can create a culture of indecision when leaders are balancing evidence in complex cases. You say Ofsted knows there are head teachers who 'refuse to acknowledge that knife crime affects their school'. I hope that Ofsted are acting purposefully on the knowledge it holds and are supporting heads to a better understanding of the complexity of the issue the heads are attempting to deal with. You do not mention the difficulties of schools who have not had support from police officers or had this support reduced or removed in the last 18 months. Schools' police officers did critical preventative work 'looking beyond the school gates' to protect our pupils in their communities. Complex social issues can only be resolved through effective inter-agency working and adequate allocation of resource. I hope too that you will publish your report with the findings showing that schools have 'very different ways of dealing with these issues' and that the good and effective practice that you must have found is shared to support heads and school leaders who deal with these complex issues each day in school. Make buying knives more difficult. If they were put behind the counter as cigarettes are and subject to age restrictions this may help.